Want “Big Bang” for a “Little Buck”? 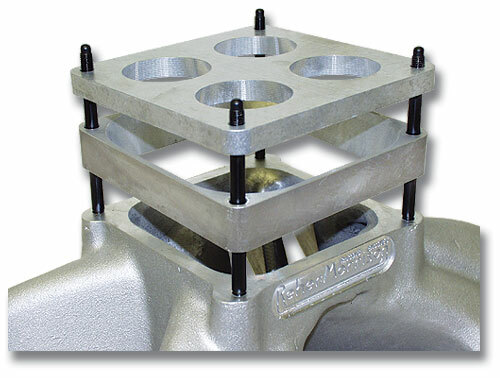 Try our CNC machined anti-reversion plate with matching spacer. Our experience is this kit really helps consistency. Anytime you control turbulence under your carb, it has to be a plus. Also, improves horsepower and provides a quicker and crisper throttle response when coming off the stop! Combo kit includes ½” CNC machined anti-reversion plate, matching 1” CNC machined spacer, gaskets, longer ARP carb studs, nuts, and washers. Available for 4150 and 4500 style carburetors.